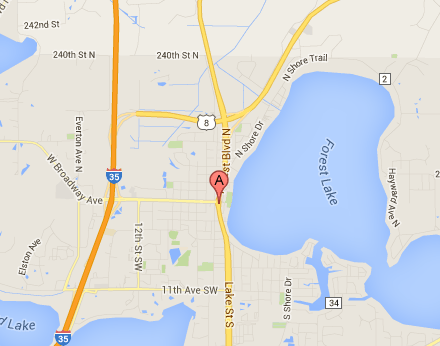 Auto Glass Express has a mobile fleet that proudly serves Forest Lake. We’ve been in the auto glass business for more than 20 years! Our friendly technicians have years of experience working with all car makes and models. We’re also approved by all major insurance carriers. Auto Glass Express will go to your home, work, or anywhere you'd like to meet in Forest Lake (at no extra cost). We can come to your car in Forest Lake with our mobile windshield service. Auto Glass Express follows very strict installation and safety guidelines to ensure that our work is done right. We’re certified as an AGRSS company by the Auto Glass Safety Council and we’re also rated an A+ company by the Better Business Bureau (which is the highest rating the BBB gives). We can also help you file your insurance claim. Give us a call today and we will take care of the rest! Fill out the form below to get started or call us at 651-494-9252.